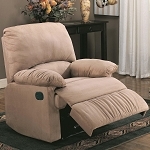 The Cristof rocker recliner features lumbar heat and massage with a handheld, wired remote. Recliner will automatically shut off after 20 minutes. 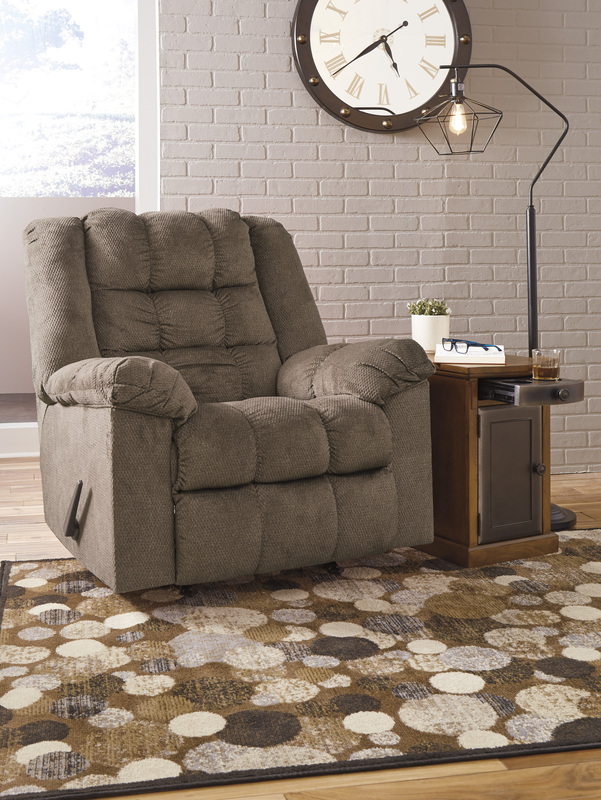 This recliner is available in a gray fabric.